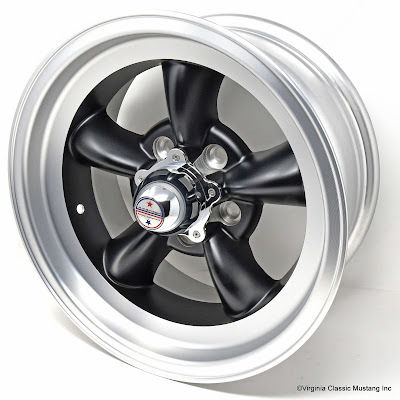 Virginia Classic Mustang Blog: American Racing Torq Thrust D Wheels - In Stock! 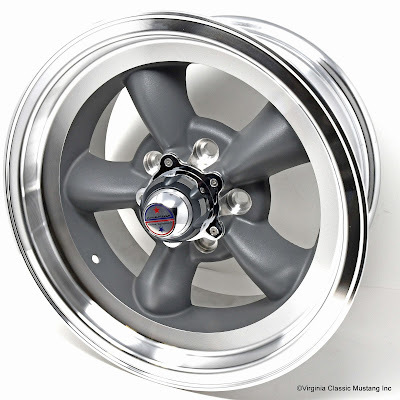 No wheel embodies the "feel" of the cars of the 1960s and early 1970s, like the American Racing Torq Thrust D. This timeless classic is available in a 15 x 7 one piece cast design with a 3.75 inch backspace for a very nice fit on any '65-73 Mustang. 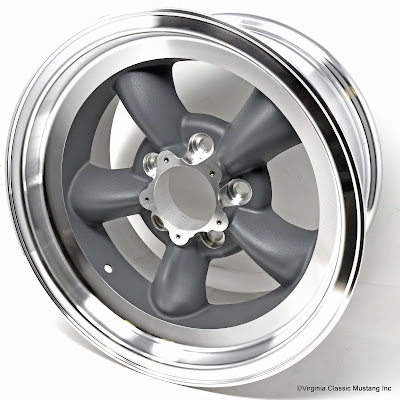 We now have a nice quantity in stock and even have ones with black painted spokes with a satin finished machined rim for a really cool look. The traditional gray with the brighter machined rim is also available. Run them with the included center cap and leave the center cap off for a great look like the early GT350 Shelby race cars.